Knitter, English Language instructor, collector of oddities. CMU’s Center for Excellence in Teaching and Learning put together a video series featuring myself, Dr. Forest, Caitlin Hamstra, and Danielle Petersen all of the English Language Institute discussing the strategies and approaches we use to help international students in the university. The series of videos is excellent, but I thought I would share this one, since it predominantly features my interview. Strategies for Engaging International Students: Exit Tickets from CMU CETL http://cetl.cmich.edu on Vimeo. This is my presentation from MITESOL 2015. It explores how EAP instructors can use Nearpod, Quizlet, Versal, and their university’s own CMS to accomplish more tasks in the same amount of time in their often objectives-packed writing courses. This is a Nearpod I created for my 094 Graduate Writing for International Students class. With this homework tool, I was able to embed this Nearpod into our Blackboard shell, assign this task for the weekend, and have students arrive on Monday with fairly focused topics that we could fine-tune and start working on right away. I received all of their responses in a .PDF report, and I was able to read what they had written and come into class with my own feedback ready to go as well. This is the Versal page I used to teach my students APA and Parallel Structures. As you can see, the units require completion before you can move on to the next, and I was able to track my enrolled students as they completed the tasks. In this class I created a vocabulary card for each word, but left the definitions blank. My students then went in and found appropriate definitions and images that reflected the meaning of each word. I am able to track how much each student is using Quizlet to study, so I can see if low test/quiz scores can be easily attributed to low motivation to study, or if another issue might be at play. 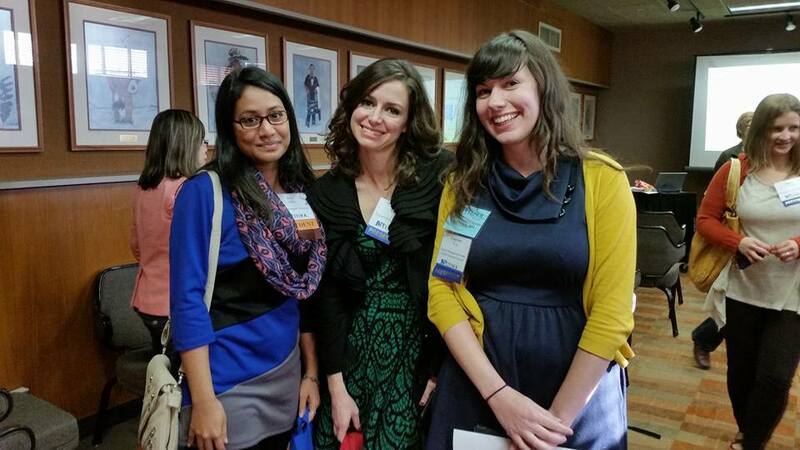 I had an incredible time at this year’s MITESOL Conference. I was awarded the Best Presentation of MITESOL 2014 as well as the Best of Affiliates Award at TESOL 2016. This means that out of all of the best presentations nominated by TESOL affiliates (over 100 participating organizations worldwide), my presentation was chosen as one of the top eight and will be featured at the international conference in Baltimore this April. Shortly after receiving this award, my name was drawn in a raffle and I won a very heavy bag of textbooks! The books were geared toward middle schoolers, however, so I delivered them to a session about better serving adolescents. I felt a bit like Santa! For those of you who attended my session and those of you who missed it but still want to know more about blended writing classes, an interactive Nearpod version of the presentation I gave will be available soon! Israt, Alisha, and I after the final session. Thank you to everyone who helped make this conference happen. See you all in Baltimore for TESOL 2016! I sometimes feel like a lunatic, working late hours on materials and lesson plans, trying new apps and programs that seem like they are bound to fail, and giving new ideas a shot in my classroom. Sometimes I’m wildly successful and other times I fall short. That’s how it works. I love trying new things, though, no matter how many times I fail. For me, it’s worth it to discover the key to my students’ interest and enthusiasm for what I’m teaching. I’m working for that moment when I find a portal from the boring to the captivating. One such portal for me and my students was Nearpod. 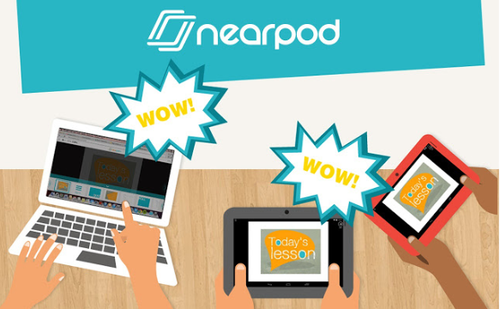 Nearpod opened the door for me to see what was out there in terms of engaging students with their tablets and smartphones. I was able to take devices that were often forbidden in the language classroom and make them the medium through which we were learning. 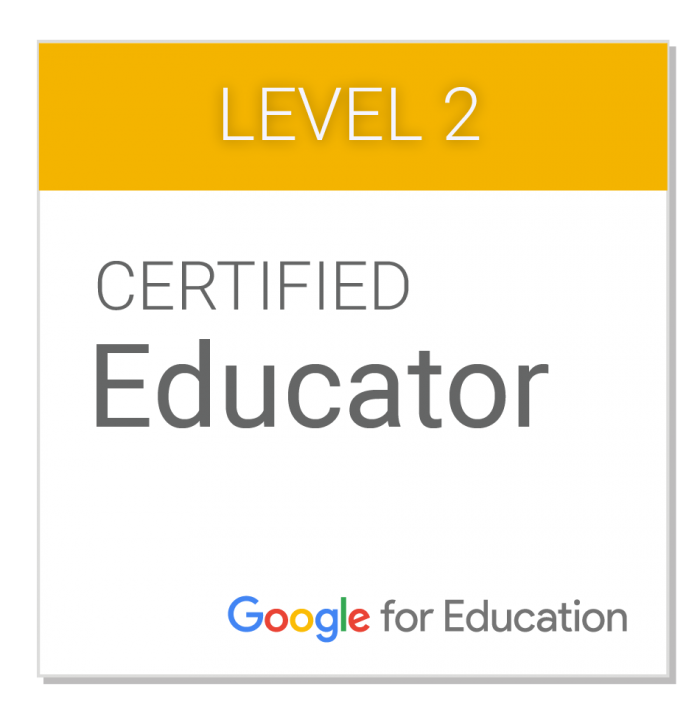 I tried multiple lessons in multiple classes and my students unanimously agreed that they wanted to continue using the app in class. I continued to explore its uses as an in-class tool and as a homework tool, by which students could remain engaged and tuned in to the course work while on the go. I presented on this topic at the 2014 MITESOL conference and was recently informed that I was awarded the MITESOL top presenter award. Additionally, I have been nominated to the 2016 TESOL International Best of Affiliates award. If I am a finalist for this prestigious award (meaning I was chosen from over 100 affiliate organizations), I will then be asked to present my work along with the 7 other finalists at the international TESOL convention. That’s not at all terrifying, right? Last year Michigan’s own Patrick T. Randolph won this international honor. Congratulations, Patrick! I have had the pleasure of attending one of Patrick’s talks, and he is a phenomenal speaker who gives a dynamic presentation. I would never put myself in the same category as Patrick, and I’m shocked to be representing Michigan in this capacity. I have submitted two proposals to TESOL this year, so hopefully I will be accepted to present regardless of how I fare in the affiliates competition. I hope to see you there! The last four spring seasons have been difficult for me. Not because of the ridiculous work loads I have so often inflicted upon myself. Not because of deadlines and the tenuous nature of summer work in our field. Spring is hard for me because I have to hear my family daily reminding me of how much better the weather is at home. Living far north of my hometown has numerous (mostly political) advantages, but the weather will always make me homesick. 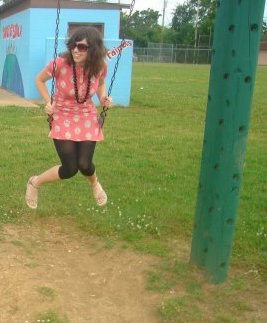 A warmer, more carefree Courtney (circa 2006). When I was just seven years old, my family took a May road trip to Yellowstone. I was so excited to see all of the exciting things my uncle had elaborately told me about. Bears, buffalo, geysers, and bubbling pits?! What could be more magical to a nature-obsessed child? When we got there, however, it was much cooler than it had been at home. I called my dad and he said that is was 80 degrees (F) in Lebanon. 80 degrees?! That was definitely shorts weather. I looked down at my jeans, burst into tears, and begged my family to never take another vacation. 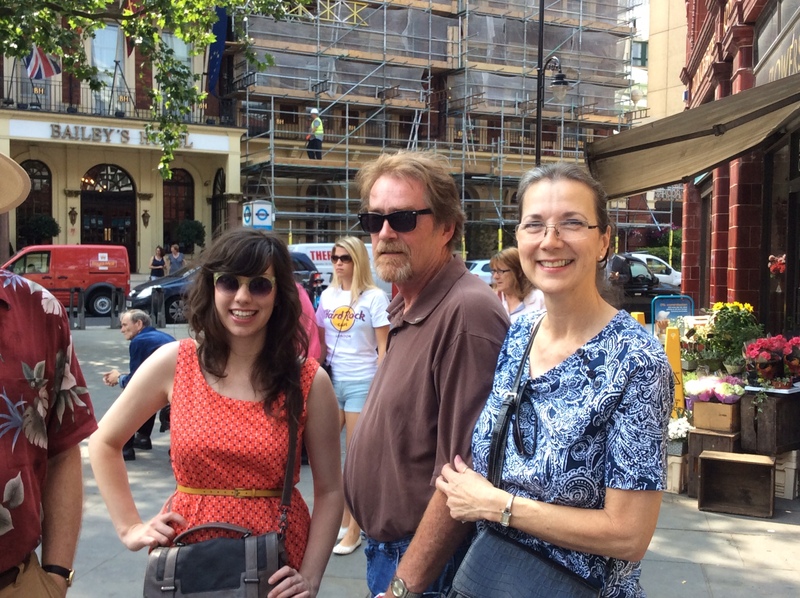 Soaking up the unseasonably warm weather in London (I knew I was wrong to denounce vacations). Since then I have driven through Wyoming twice, both times in the process of moving to colder climates. My seven-year-old self would think I was quite foolish, and maybe I am. I distinctly recall feeling that I never had the opportunity to thaw out during my first summer in WA. The temperatures never went above 90, and they rarely reached that. MI summers are much warmer, more humid, and full of evil stinging and biting insects. WA’s magical climate and absence of mosquitoes makes it a tempting place to eventually settle down. 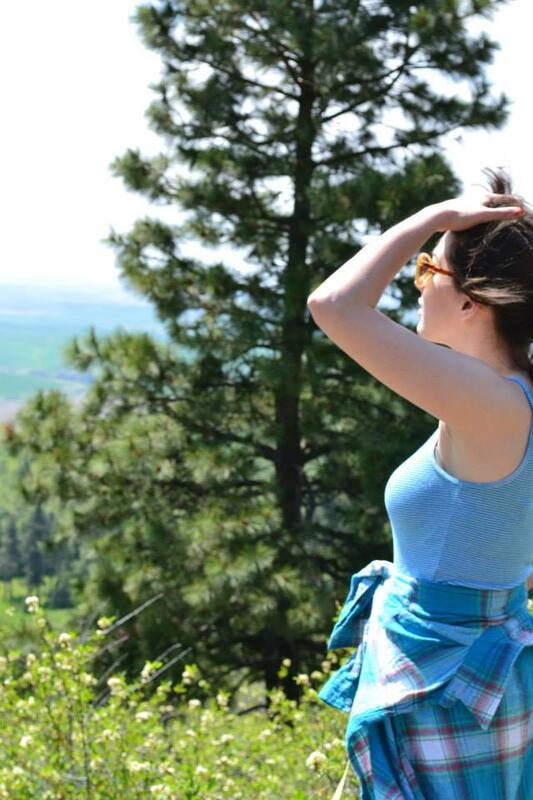 Enjoying the view from atop Kamiak Butte, one of the many choice hiking spots near Pullman, WA. My resolution this year is to enjoy the spring for what it is. Not a mild summer, like it was in Missouri, but a season of hope. The cold remains, but the snow is gone. The clouds still hang over our heads most days, but the sun comes out and says hello when it feels like it. We know the long winter has come to an end and that the plants will come back to life soon. These days are just as important as the warm ones that will follow. I’m doing my best to enjoy them as well as I can.